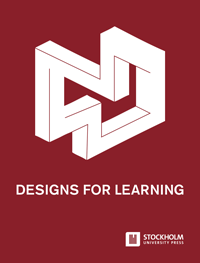 Designs for Learning is an international, Nordic-based peer-reviewed and open access journal in electronic format. The scope of the journal is to publish articles on designs for learning, technology enhanced learning, design-based research, multimodal knowledge representations, embodied interaction, on-line environments, and learning ecologies. We welcome original articles that address theoretical or methodological issues, as well as empirically based research. We also welcome (multimodal) publications that include formats such as audiovisual material. 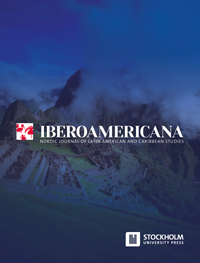 Iberoamericana – Revista Nórdica de Estudios de Latinoamérica y el Caribe, es una revista académica arbitrada, interdisciplinaria y bilingüe. Es administrada por el Instituto de Estudios Latinoamericanos de la Universidad de Estocolmo en colaboración con otras universidades nórdicas con el objetivo de presentar investigación de alta calidad sobre América Latina. La revista publica artículos originales enfocados en temas relacionados con las ciencias sociales y humanidades. Investigadores de todo el mundo son bienvenidos a enviar sus manuscritos en inglés o español. 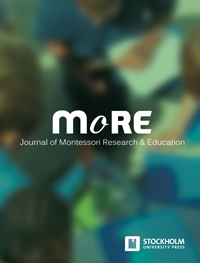 The Journal of Montessori Research & Education will, as the name indicates, provide a publishing platform for research related to Montessori education. The overall aim is to contribute to the development of Montessori education built on high-quality research and by raising awareness of theoretical and empirical aspects of Montessori education. The journal is aimed at academics looking to advance the educational science as well as for practicing teachers looking to use evidence-based methods to improve their work. The intention is to publish articles about research findings and design and to cover a wide range of relevant topics that are of international significance. We welcome work with a contemporary approach as well as about Montessori education in a historical context. Today there is an interest in finding alternative pedagogical models that will encourage students to establish challenging social, environmental and academic goals as well as to attain an entrepreneurial approach. Therefore we believe that this journal’s content will make an impact on communities interested in Montessori education, research and outcomes, all over the world. 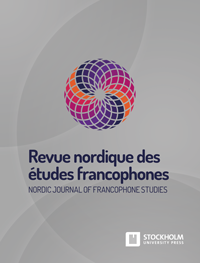 Revue nordique des études francophones/Nordic Journal of Francophone Studies welcomes both literary and cultural contributions to understanding the diversity of the Francophone world. 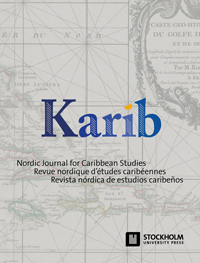 The journal will accept submissions from a wide variety of disciplines which focuses on Francophone Literature in Nordic countries, including at first literary studies, reception studies, sociology of literature and sociology of translation but also history and cultural politics, international relations, and sociology. 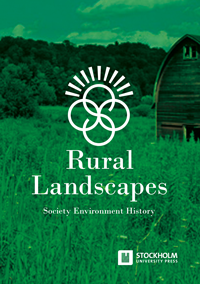 Rural Landscapes: Society, Environment, History is a peer-reviewed, open access journal dedicated to landscape research and interdisciplinary communication. Rural Landscapes aims to be a leading academic forum for the blending, contrasting and bridging of contemporary and historical landscape studies that engage with environmental and societal perspectives on rural landscapes in all parts of the world. The journal accepts contributions from a broad range of research fields, such as historical ecology, political ecology, rural development, landscape ecology, palaeo-ecology, archaeology, anthropology, sociology, history, agriculture, forestry and geography. 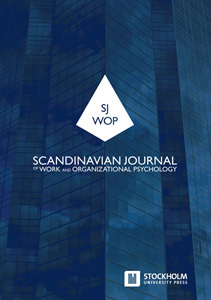 The aim of the Scandinavian Journal of Work and Organizational Psychology is to contribute to a better working life based on high-quality research. 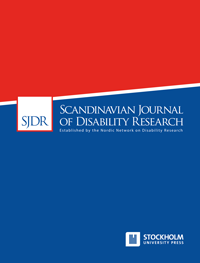 The journal seeks to publish papers covering the important issues in working life on all levels, including the societal, the organizational and the individual level. The journal also encourages research combining two or more of these levels and we invite empirical as well as theoretical, methodological and review manuscripts. Prior to submission, please review our author guidelines.